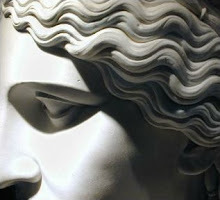 Daniela Coppola, Anemoi: morfologia dei venti nell'immaginario della Grecia arcaica. Università degli Studi di Napoli Federico II. Pubblicazioni del Dipartimento di Discipline Storiche, 24. Napoli: Liguori Editore, 2010. Pp. 147. ISBN 9788820743468. €18.90 (pb). Daniela Coppola's study on the winds in archaic Greece can be defined as an essay of lexicography and Homeric and Hesiodean religions. Coppola's work is lexicographic because she pays rigorous attention to the terminology used in poems in regard to natural phenomena. In the first part of her work, Coppola outlines the morphology of winds. The term in Homer is connected with θύελλα, μένος, ἴς, πνοιή, οὖρος. Winds as extra-human beings represent one modality of divine intervention within the human sphere. The most frequent terms which qualify winds are carefully examined by the author: ζαής, ἀργαλέος, λάβρος, δυσαής, λιγυρός, λιγύς, βύκτης and the verbs ἠπύει, ἐπιβρέμει, κλονεῖ. Within maritime activities, favourable winds help navigation, but headwinds can hinder maritime routes. Wind interferes with human life in many ways. Coppola skilfully schematises wind's connections with different terms, such as θύελλα, which takes on a negative hue, meaning whirlwind or windstorm, and has a destructive power similar to the fire. In the Odyssey, the abducting function of the θύελλα and its identification with the Harpies are more clear, even though the use of these two concepts are different: unlike the Harpies, the θύελλαι do not kill (see e. g. IV 515, but also Il. VI 345ss., where Helen would have preferred to have fallen victim of an evil windstorm, rather than to have betrayed her husband). As the author usefully underlines, the desire to be abducted by the wind topos expresses the will to avoid difficult earthly experiences. The analysis that Daniela Coppola carries out in regard to the Harpies is particularly valuable, for she frames them within the religious world of archaic Greece, and considers their relationship with the Erinyes, in which the negative side of the wind is emphasised. As for the μένος, it has a damaging connotation when connected with the atmospheric agents. In Odyssey V 478, for example, Ulysses at Scheria can take shelter under a double bush, protected from the wet force of the blowing winds. In regard to the ἴς, the author begins with a general assessment of the use of the term in anatomy and then notes the way the term itself modifies the function and the quality of the atmospheric phenomenon: in the ἴς ἀνέμοιο the physical sense of the strength, with an explicit directional connotation, prevails, and it becomes a force as controllable as human nerves are. The blowing of the wind, the πνοιὴ ἀνέμου, is instead linked to the gods, especially to Iris and Hermes, gods of communication. The οὖρος is the favourable wind, characterised by positive epithets, which emphasise its beneficial nature. It plays a crucial role in the episode of the returns of the heroes from Troy. Daniela Coppola devotes much space to the relation of ἄνεμος and ψυχή, and thus to the relationship between body and soul, a theme that would seem alien to the topic of the volume, if we didn't consider, as the author rightly has, the episode of Sarpedon (Il. V 696-698). When ψυχή abandons him, the blow of Boreas comes in and allows him to come back to life. Also in this case, the lexicographic investigation of the Homeric use is enriched with valuable observations based on specific accounts related to cults in the archaic age. The mythology of winds, in particular the named winds, play a central role in such an investigation: Zephyrus, Boreas, Eurus, Notus. The first two are associated with epithets which indicate their being dangerous. Coppola's analysis carefully focuses on the function of winds within the mythological sphere, and pays particular attention to the Homeric Hymns, in which the anemoi intervene to grant the implementation of the decisions made by the gods. A section is devoted to each wind, illustrating its function and traits. A further distinction of the winds is made possible thanks to the different characteristics of the Homeric poems: in the Iliad war winds prevail (pp. 61-72), and they enrich the narration with descriptions drawn from everyday life. Just as the winds directed by the gods intervene in battles, turning events into favourable or adverse, so, within the Odyssey, sea winds (pp. 73-93) influence the journey - the geographic one made by Telemachus and the imaginary passage of Odysseus between Ogygia, Scheria, and Ithaca. The wind, be it οὖρος or θύελλα, is the element that characterises the nostoi of the heroes coming from Troy. In the Odyssey, as Daniela Coppola rightly observes (p. 81), the narrative function of the wind gradually rises, allowing the reversal of situations, the sliding of reality into the imaginary, and the reconversion of the imaginary into reality. In the last chapter of her volume, Daniela Coppola deals with the poems by Hesiod (pp. 95-119), and in particular with the cosmogonic aspect of the winds. As her careful reading shows, here the presence of winds is also utterly tied to the structure and the motivations of the poems. In Theogony 378-382 strong winds, children of Astraeus and Aurora, are the shining Zephyrus, the fast-running Boreas and Notus. With their blowing, they direct the sea space as well as human activities. The contrast with other harmful winds generated by Typhoeus is found in vv. 869ff. In Works and Days the presence of winds is functional to working life, and the poet provides his addressee with useful information, from the agriculture in winter to the risks for the maritime activity. At the end of this volume a useful paragraph is added, which deals with the voice of winds as cosmic voice. Here even the most recent bibliography is carefully taken into consideration: I am referring to the volume by M. Bettini, Voci. Antropologia sonora del mondo antico (Torino 2008). Some of our observations do not decrease the value of this volume, which is a very rigorous representation of anemos in specific contexts. An overall investigation of winds in the ancient world is yet to be written, therefore Daniela Coppola's book is particularly valuable as a first step in that direction. We would have considered few philosophical sources, such as Thales, 11 B 16 Diels - Kranz, about the effect of the Etesian winds on the flood of the river Nile, and Anaximenes, 13 A 5 Diesl - Kranz, about the origin of the winds from the condensation of air. Also, we wouldn't have neglected some images from archaic lyric poetry: Sapph., fr. 37 Voigt with the wish that winds would take away those who blame her, and fr. 47 Voigt, where Sappho's overwhelming love is compared to the wind that blows on mountains among the oak trees. Finally, we would have mentioned the famous allegory of the ship in Alcaeus, fr. 208a Voigt with the ἀνέμων στάσις. In all these cases, however, it is clear that the wind plays an instrumental role. For a scientific analysis on the subject one has to wait for Aristotle's Meteorologica. In conclusion, Daniela Coppola's volume, centred on the function of winds in the archaic Homeric poems, is important, for it partly fills a void within the Studies on Antiquity. We hope that she will continue her valuable research, chronologically extending it to the beginnings of the peripatetic school.